Beautiful Executive Home. Great Summer Vacation. 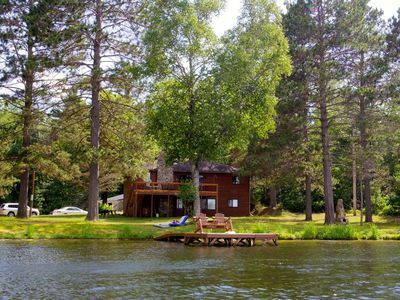 Angler's Isle Northwoods Resort offers for rental this lakefront Executive Home, nestled in a secluded setting on approximately 5 acres with frontage on Mamie Lake of the beautiful Cisco Chain (15 interconnected lakes with 271 miles of scenic shoreline extending into the pristine Sylvania Wilderness Area). 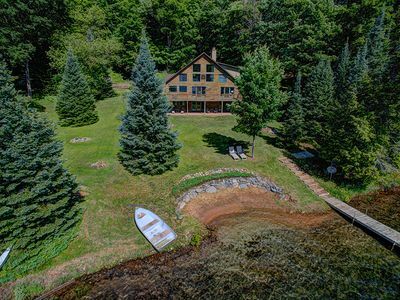 It is perfect for winter snowmobiling adventures, summer family vacations, fishing trips, or that special, relaxing Northwoods getaway. 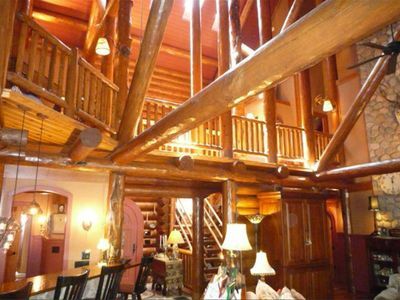 This immaculate home features log construction and 1,800 sq ft of living space, including a modern spacious kitchen, separate laundry room, cathedral ceilings with full log beams, and wrap around deck with beautiful lake views. 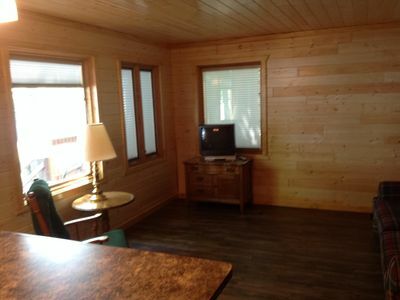 The large 1st floor bedroom has 2 Queen beds with a master bath, while the 2nd floor bedroom has a King bed. The loft includes two pull-out twin beds, and a full-size day bed. The kitchen is equipped with all major appliances, and is fully stocked with equipment and linens. Garage space is available for your vehicles, bikes and skis. For those interested in the best snowmobiling in the Midwest, our home is situated right off of Trail #5, and is perfect for a great snowmobiling adventure. 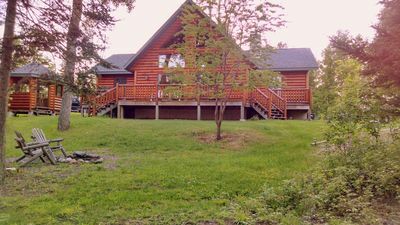 The driveway provides easy access to the lake, and one of the main trails in the extensive UP trail system. Fire up the sleds, head down the driveway to the lake, and right onto the trail. From there you have access to an endless number of stops for food, gas, supplies or a warm up! Return home, hang your gear in the garage and head upstairs for a comfortable end of the day. 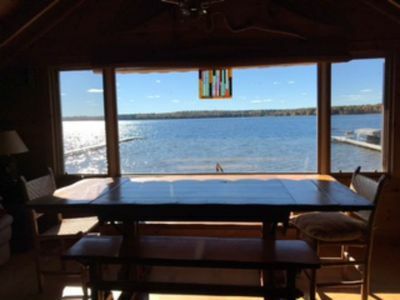 Also included on the property and available spring through fall is a separate four-season, one room bunk cabin at the water’s edge, perfect for use as extra sleeping quarters or as a quiet hideaway. 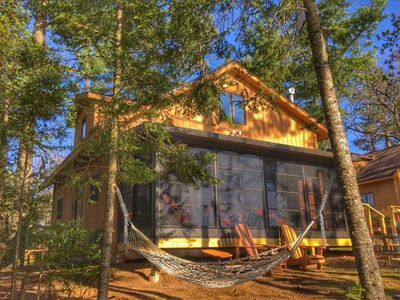 The interior of the bunk cabin has just been beautifully remodeled, with 3 sturdy bunks, a lovely deck, and new fire pit at the water's edge. The pier provides tie-ups for your boat or jet skis. 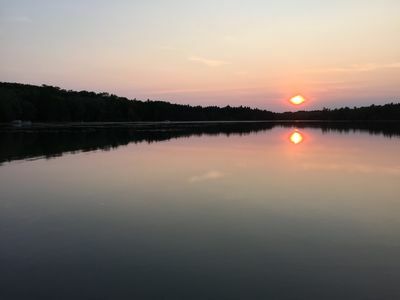 Mamie Lake on the Cisco Chain offers 400 acres of the area’s best fishing, with abundant walleye, musky, northern pike, large and smallmouth bass, and a variety of pan fish. 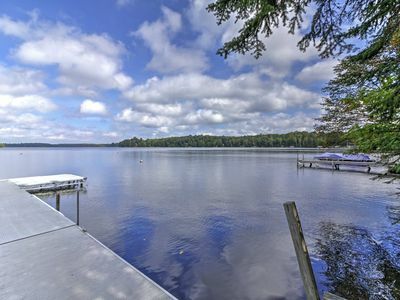 Additionally, enjoy water sports like water skiing, swimming, sailing, and boating on one of the largest chain of lakes in the country. 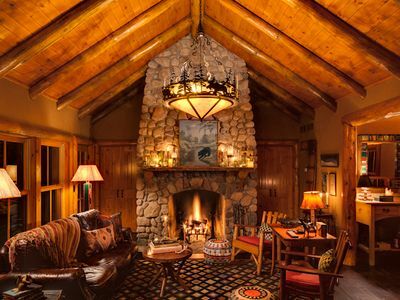 Our beautiful home is your private executive retreat with all the modern amenities of home, in a rustic, log-cabin experience. 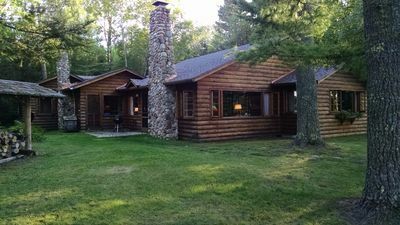 Come enjoy the Cisco Chain in style, and call us for your next Northwoods getaway. 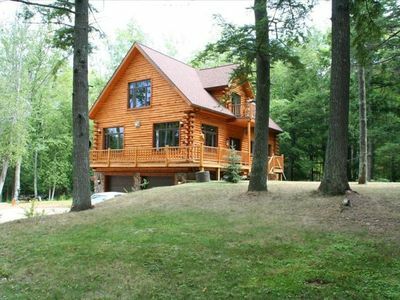 Beautiful Vacation Home in the Northwoods. Open year round! Jewel of the North - Priceless Peace & Serenity! Bargain fall/winter/spring rates. 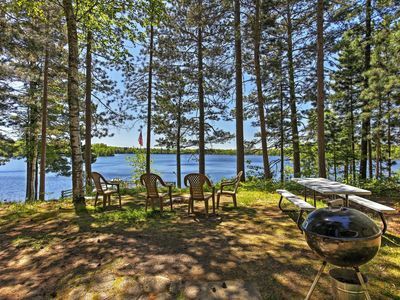 Lakefront privacy & campfire pit. 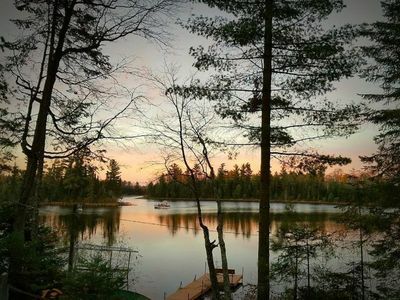 Waterfront 2BR Land O'Lakes House! 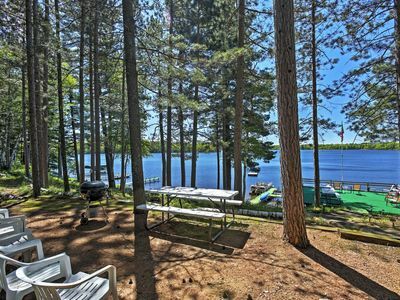 Lakefront Boulder Junction Cottage w/Amenities! 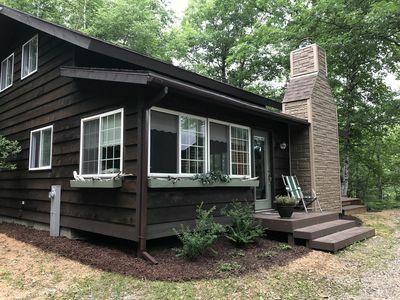 Boulder Junction ‘Spruce Cottage’ w/ Lake Views!